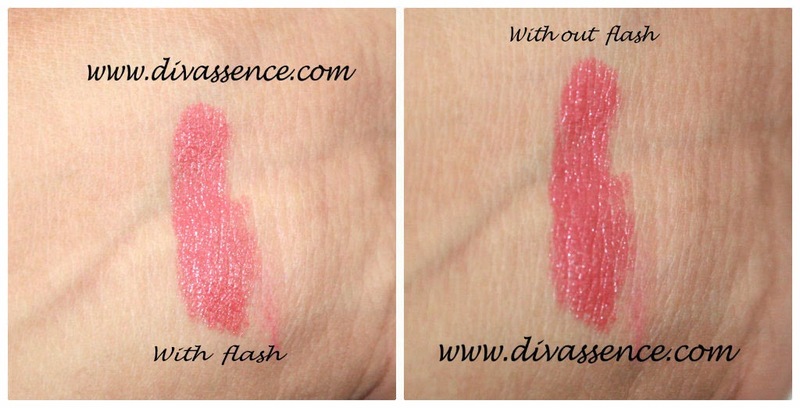 Chambor Silk Touch Lipstick: Silk Pop: Review/Swatch/LOTD - Divassence! Hi girls! 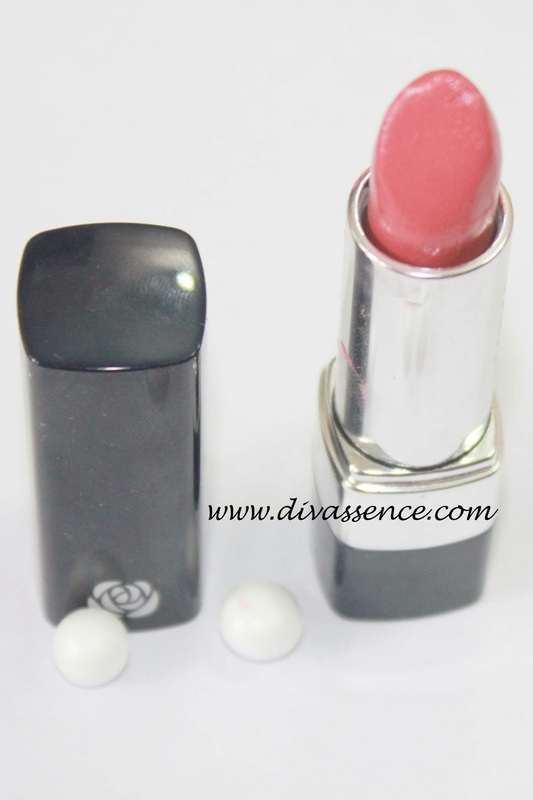 Today I will be reviewing a lipstick from Chambor Silk Touch range called Silk Pop! 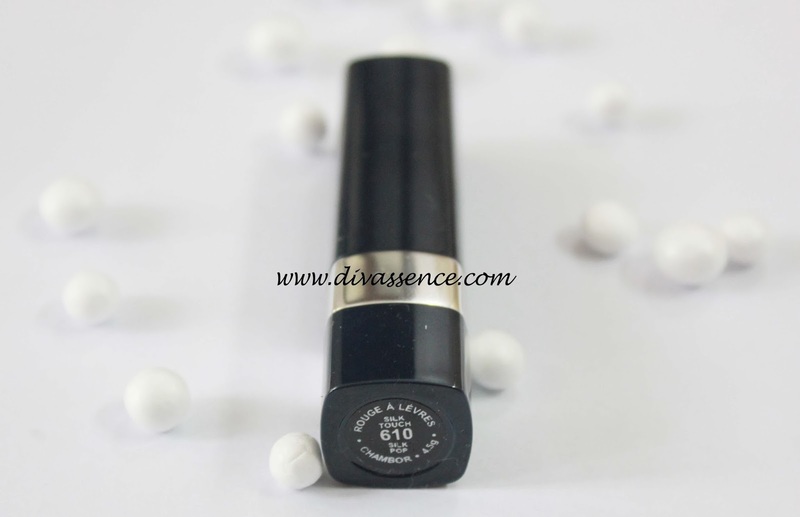 This lipstick marked my first step into the world of bright lipsticks. True, it’s not too bright but it definitely falls under the medium – bright range 😛 Lets move on with the review, shall we? 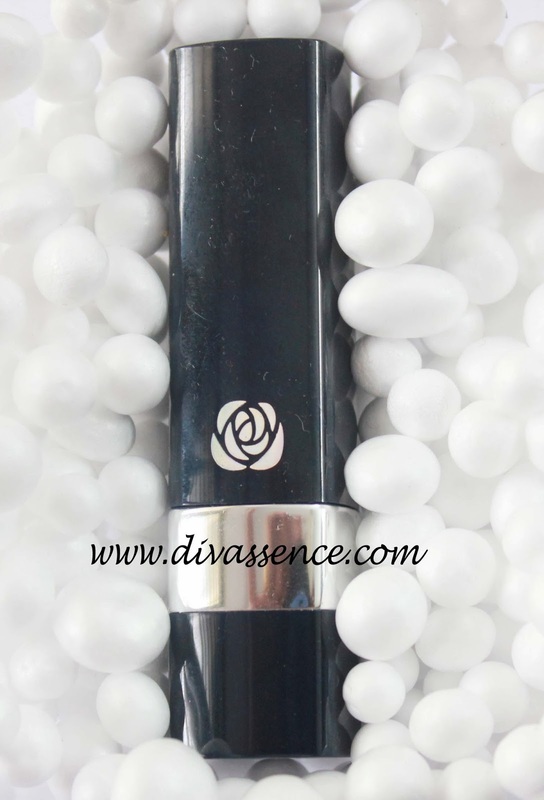 Starting off with the packaging, it comes in a slightly glossy navy blue case with the Chambor logo in silver colour above a silver band and the lipstick is cased inside a silver tube.Although the silver tube is a magnet for fingerprints but I like the packaging for the sturdiness. It closes tightly, no click sound though and is travel-friendly. The shade is a semi-bright pink with coral undertones. Girls who have fair skin tones will love this shade and it suits my medium skin tone very well too. Though the shade looks a bit similar to the Deborah Milano lipstick I reviewed earlier, the similarity ends there. 😛 This is more wearable, both in terms of the shade and in terms of the texture. The staying power is a let down though. It has a fragrance but even after sniffing at it sincerely for 5 minutes, I’m not able to pinpoint the exact fragrance. Let me sniff it again *sniff* *sniff* uhh.. maybe coconut, not sure about it still :-/ You might find it bothersome if you have a sensitive nose but it goes off after a while. It is very well pigmented, I need just two swipes to get an opaque coverage. I can rave about the texture of this lipstick all day long! My dry lips don’t even need a lipbalm under this as this lipstick hydrates, moisturizes and keeps my lips soft and supple. Pure love! BUT, the creamy texture is also the cause of the downfall of this lipstick. The most moisturizing and hydrating lipstick I’ve ever come across!